Leon County Volunteer Services works closely with a broad array of community organizations to provide leadership and support for the county’s volunteer initiatives. This investment in building relationships is central to Volunteer Services. Volunteer Services offers an annual certificate course in volunteer management, and conducts trainings for local, state and national organizations. 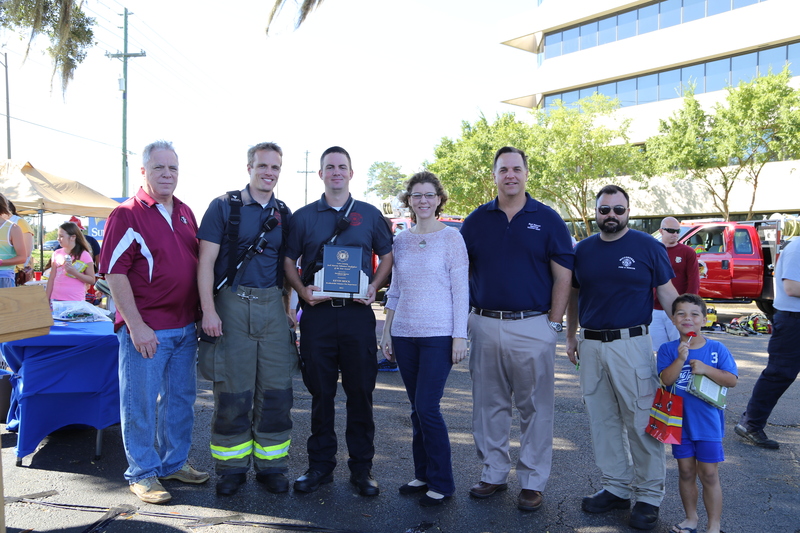 The community came out to say thank you to volunteer firefighters from Leon County for the Leon County's 17th annual fire truck round up at Suntrust Bank on Thomasville Road. There was food, music, and fire trucks, that children could climb into and have their photos taken by their parents. The "Jack Herron Leon County Firefighter of the Year" was also announced. The award recipient was Kevin Mock, the assistant fire chief of the Bradfordville Fire Department. He said, "I've always liked giving back to the community. I'm going into public service as a career and volunteer firefighting is just an additional way I can help out the community." Mock has been a volunteer firefighter since 2009. He was nominated for the award by the fire chief of Bradfordville. Recruitment and retention is one of the biggest challenges facing volunteer fire departments today. Volunteers comprise 70% of our nation's fire service, and it is critical that we keep the volunteer fire service strong now and in the future. If you are interested in learning more about joining our one of our 6 Volunteer Departments, please contact us at 606-1970.